As we prepare to enter a year which will no doubt be remembered for it’s sporting prevalence in the UK and Europe, we are also entering another Ryder Cup year. 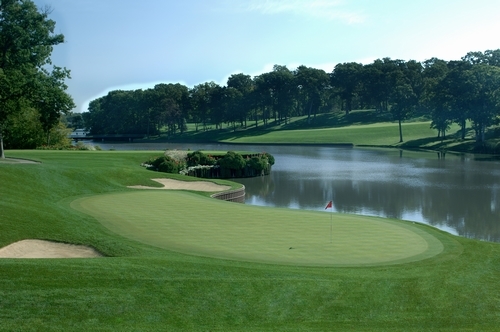 Team Europe will travel to the Medinah Club in the latter half of 2012 and the rush for qualification is now well and truly on. 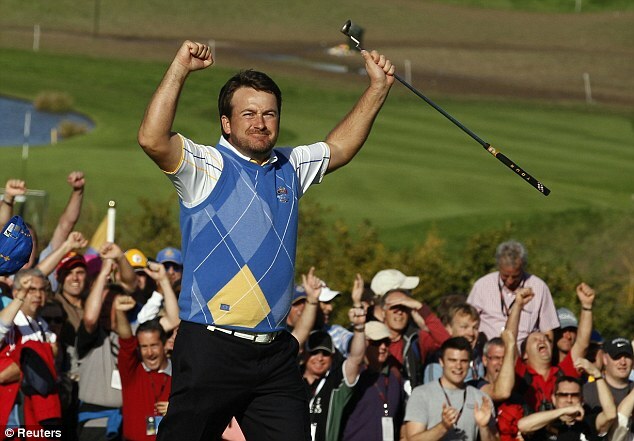 201o’s Ryder Cup at the Celtic Manor provided a magnificent spectacle which eventually saw team Europe prosper in a year which marked a major turnaround in global golfing fortunes. Off the back of this success, Europe will now be aiming to further assert their authority with a victory on US turf armed with a team set to include an interesting mix of the world’s highest ranked golfers, some resurgent forces, and some exciting rookies. No matter what the eventual line up looks like, if the end of this season is anything to go by then Europe’s challenge is set to be very strong and the winning feeling is already building some significant momentum. World Number one Luke Donald has been the recipient of a whole range of awards in recent weeks, World Number two Lee Westwood has ended his year with a win in Thailand (including an astonishing 12 under par round), Rory McIlroy has established himself as part of the world’s top three with another career win this month and Matchplay supremo Ian Poulter has ended his year with a triumph at the Australian Open. Couple these recent glories with Martin Kaymer’s continuing stay in the world’s top five, the renaissance taking place in Sergio Garcia’s game and the host of young talent pushing for qualification and things appear very rosy indeed for Team Europe. If qualification was halted now then those that would make Team Europe would include many of the aforementioned stars as well as some slightly more surprising additions. If this were the case the the team would be as follows; Martin Kaymer, Rory McIlroy, Gonzalo Fdez-Castano, Alvaro Quiros, Sergio Garcia, Luke Donald, Lee Westwood, Justin Rose, Simon Dyson, Graeme McDowell and the two captains choices. 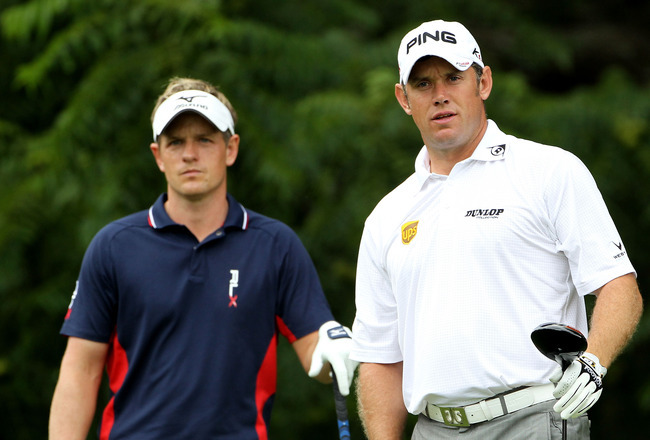 Messrs Kaymer, McIlroy, Fdez-Castano, Quiros and Garcia would be qualifying by virtue of currently occupying the top five places on the European qualification list, whilst Donald, Westwood, Rose, Dyson and McDowell would make the team through the World qualification list. If this were the side that Europe went in with then I think the current Captain Jose Maria Olazabal would fancy his chances of retaining the famous trophy for his team. The dilemma for Jose-Maria come August-September time will be his decision for the two Captain’s selections, and if the standings remained similar to the current predicament when this decision has to be made then his final choice will become interesting. Players who could be in the reckoning if this were the case could include Ryder Cup veterans Miguel Angel Jimenez, Thomas Bjorn, Open champion Darren Clarke, Paul Casey and Ian Poulter, and at the other end of the spectrum rookie options such as the exciting talents of Tom Lewis and Richie Ramsay could be in with a shout. well for 2012 but for future Ryder Cups also, as the more experienced heads will surely make the natural progression on to Team Europe’s coaching team. And while their wealth of experience will strengthen the foundations, the younger specimens will continue to dominate the individual format of the game in global terms and in turn will do Team Europe proud as playing members for many years to come. Lets look forward to a glorious year of British and European sport, and hopefully another awe-inspiring triumph over the United States come Ryder Cup time. Back-to-back, home and away Ryder Cup successes would be rather enjoyable! Couple speed with superb balance, great feet, and an almost unrivalled eye for a defence splitting pass and you have the make-up of the Spaniard’s game. His majesty in the roaming central midfield role for City this season has inspired their charge to the summit of the Premier League and if he continues in the same vein for the remainder of the season then it is hard to see how anyone will be able to handle either him individually, or him as part of an entirely potent attacking force at the Etihad. I can’t recall a single player ever to grace the Premier League that has provided so much in terms of creation in the first half of a season as Silva has so far and there really is no greater compliment that I could afford him than that. When he signed for the club I was entirely sceptical about the sum of money that City parted with to secure his services and the reported weekly wage outlay of over £200,000 that they were set to give him. Add to this Mancini’s seeming desire to turn him into a more attacking central force than a defensive one and I became even more of a synic, but as it turns out my scepticism was wholly unfair. Mancini’s decision to give him far greater attacking license than that which he had been afforded at former club Barcelona has proved to be an inspired move. Since joining City, Toure’s ability to gobble up the yards with consistently strong and rangy surges has become a trademark of his both in attack and defence and it has demonstrated his immense value all over the field of play. Many have delved deep to lavish his more celebrated team mate David Silva with every superlative they can find, but I believe that Toure has been equally brilliant for City this year. He has very rarely failed to deliver a high-class performance this season and his strength, determination and appetite for getting from box-to-box has been utterly essential to City’s rise to prominence. Unbelievably the man between the sticks at Swansea City (the team most fancied for the drop at the start of the season) has managed to keep eight clean sheets in sixteen games this season. Such statistics sound befitting only of teams harbouring serious aspirations of competing for the title, but Mr.Vorm has risen from anonymity amongst Premier League fans to become a cult figure in Swansea and one of the most respected keepers in the English league. Following his low-key summer transfer to the Premier League new-boys he has fast-established himself as their number one and arguably the most impressive keeper of the season so far. His penchant for saving penalties and making some quite frankly outrageous reaction stops has endeared himself to all who follow the Premier League, and sadly for Swansea, his form has been so good that it is hard to see him staying when the bigger fish of the footballing world come circling in as they inevitably will. Fifteen goals in sixteen Premier League games pretty much tells you all you need to know about RVP’s most impressive season to date and there is no team in world football who wouldn’t benefit from his presence when he is in this kind of form. Since being handed the Captain’s arm band at the start of the season the Dutchman has elevated his already brilliant game to a new level. If it weren’t for his inspirational goalscoring exploits then I shudder to think where Arsenal would be in the league. The technical genius that he demonstrated in his match-winning strike against Everton this month epitomised all that has made this season one to remember for a man who is undoubtedly one of the world’s finest centre forwards. 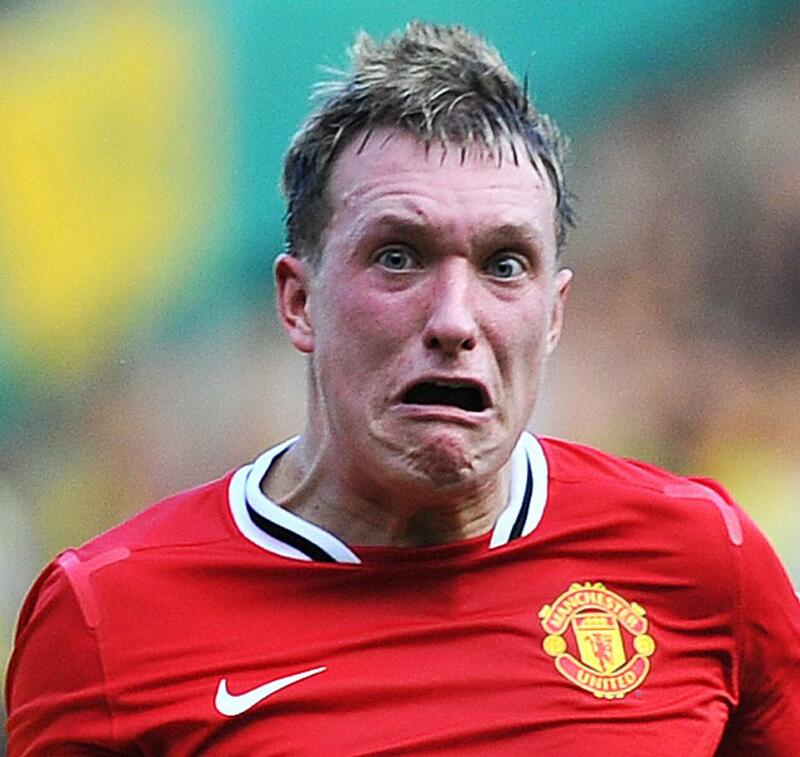 Whether it be at right back, centre back or centre midfield Phil Jones has surpassed all expectations so far in his first season at Manchester United, and he has made a complete mockery of his £16 million transfer fee. In the modern game it is hard to buy any player of real quality for anything less than around £20 million, but in recruiting Jones from Blackburn Sir Alex Ferguson has managed to pull off an absolute steal. Not only has he signed someone of real quality, but in Jones he has landed a player that I think could go on to be one the best players of his generation. His speed and technical ability must be the envy of all other defenders in world football at the moment, and they’re enabling him to demonstrate something of an ‘X-Factor’. Couple these defining characteristics with the more stock abilities for a central defender such as strength, awareness and aerial ability (all of which he has in abundance) and you can see why he is fast becoming United’s man for a crisis. When you consider the premium placed on the head of English footballers in the transfer market (for example: Andy Carroll to Liverpool £35 million, Stewart Downing to Liverpool £20 million and Jordan Henderson to Liverpool £20 million… spot the trend…) it is verging on miraculous that United managed to land Jones for such a reasonable price, and the more he continues to impress the more of a coup it will become. The word legend is often used to freely in the realms of sport, but it would simply be unfair to describe Jonny Wilkinson as anything other than a Rugby legend. The man with the golden left boot has made the decision to hang up his boots in the international game and has left behind him one hell of a legacy. ‘That night in Sydney’ was the moment that made him worthy of legendary status, even if he being his modest self was a little underwhelmed with his own personal performance. He even rather infamously described his last-gasp, tournament winning drop goal (slotted under enormous pressure with his wrong foot) as a “dead duck”. This lack of interest in self-glorification and personal success is what has made him such an incredible asset to his nation and one of the finest players of all time. For a man so humble about his abilities and his inspirational character he has amassed some seriously impressive individual achievements. Now we know that he is never to don the red rose again we are left looking back at such examples of his brilliance and the impact he has had upon the world of international rugby. This impact is probably demonstrated most clearly by his incredible tally of 1,179 points from 91 caps which places him second only to Dan Carter on the all-time top scorers list, and a clear leader of England’s own list of top point scorers. These statistics are beyond impressive in their own right but Wilkinson will know more than most that it could have even more incredible had his body been able to keep pace with his talent. Staggeringly, Wilkinson managed to achieve all that he has in international and domestic rugby having had to endure the most miserable of periods out of the game with multiple serious and not so serious injuries, that in effect wiped out the four years of his career which could well have been his prime. We will unfortunately never know just how many points he might have accumulated had he not spent so long in the rugby wilderness or just how good the England side could have continued to be had he been there to contribute and oversee this era as captain. Nevertheless, his achievements are right up there with the all-time greats and this is exactly how he should be remembered in the wake of his international career. It is plain for all to see that Mr.Wilkinson hasn’t ever quite hit the heights of 2003 again in his playing career but he must be greatly admired for the courage and determination he has continued to demonstrate since the return from his darkest days prior to 2007. When Jonny returned to the England side as a regular in the 2007 World Cup he helped inspire a quite frankly rather lacklustre troop of players to reach a second consecutive final and very nearly a second triumph on rugby’s greatest stage. His ability to control the game with his metronomic goal-kicking and more often than not immaculate tactical kicking will go down in history and it remained a terrific asset throughout this campaign. It served as a reminder for the world of rugby about just how much they had missed his presence. Though his game has arguably suffered as a result of his long-term absence in terms of his pace and his adaptation to the ever-evolving way in which rugby is played, his touch of class has remained and as such he has ended his international career as England’s first choice fly-half. Though the most recent England World Cup campaign was far from successful and wasn’t exactly befitting of Wilkinson’s final bow on the international stage, Jonny himself will be enormously proud that he was still a key player in an England side at the World Cup right up to what has turned out to be the finishing point of his glorious international career. This retirement doesn’t of course mean the end of ‘Wilko’ as a top class rugby player, and as he has proven since his high profile transfer to Toulon he still has an awful lot to offer. The legs might not quite be what they once were, but his game management is still right up there as is his unrelenting effort and commitment on the pitch. He’s still a pretty handy goal kicker too…. It feels strange to know that Jonny will never play for England again while his domestic career will continue, but there is no doubt that his time as an international rugby superstar will be remembered with enormous fondness. 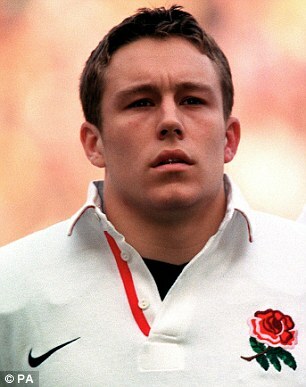 I personally will always remember Wilkinson as England’s iconic number 10, who with his own brand of hard-work, modesty and complete lack of respect for his body (ie- his seemingly unquenchable thirst for pain and self-sacrifice on the field) became the model professional in the world of Rugby. Thanks for the memories Jonny; a true legend of the game and a national hero to boot. 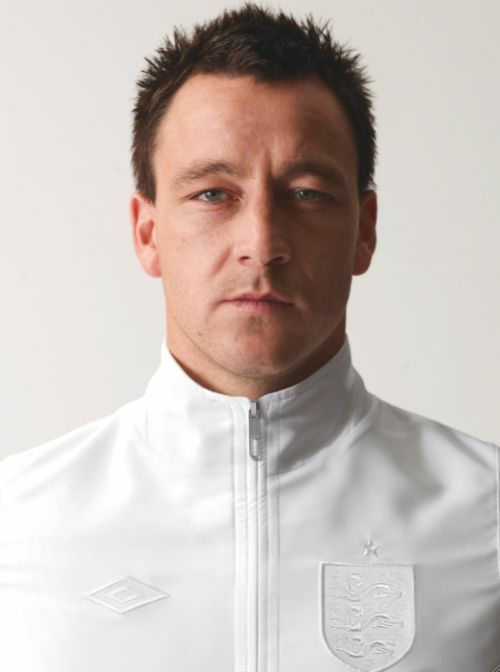 Bring on the Knighthood. With many bookmakers offering odds as long as 66/1 on Luke Donald to win the Sports Personality of The Year (SPOTY) award on the 22nd of December it seems that the rest of the nation won’t agree with me on this one, but I believe that Luke Donald has been the star of our fair isle’s sporting year. Perhaps the reason why Donald isn’t homing in on one of British sport’s top honours is much the same as the reason he has emerged as the man to beat in his sport; he is just too damn consistent. Within the realms of golf, consistency is the ingredient which has enabled some of the sport’s most decorated players to achieve the heights that they have, but, when it comes down to a sporting honour voted for by the public it isn’t exactly the sort of thing that endears you to those that are forking out 25 pence for their phone calls. If Donald doesn’t make it into the top three at the SPOTY event at it’s new home in Salford (which it seems he probably won’t) then it would be a travesty in my eyes. His progressively-natured achievements over the course of this year are truly magnificent feats even if they don’t quite capture the imagination of the general public. He is without a doubt one of (and in my opinion THE) shining light(s) in British sport this year, and deserves greater recognition for an outstanding year of development. Maybe it is because I am a huge golf fan (and a distinctly average player to boot) but I find his rise from ‘nice guy on Tour’ to world beater truly inspiring. His multiple tournament wins over the course of the year haven’t exactly been ‘major’ headline grabbers (no pun intended), but he has nonetheless overcome huge fields of the world’s very best players on each and every occasion and with it has earned an enormous amount of respect from his peers. No one in the world of golf would deny that he has been the best player in the world this year and that is an enormous achievement in a sport which has been dominated for so long by the likes of Tiger Woods and Phil Mickleson. It is in fact probably down to Tiger and ‘Lefty’ that players such as himself have emerged as the fore-runners driving the sport forward. I don’t mean to say that because they have slumped it is making players like Donald, Lee Westwood and Rory McIlroy look better, but rather they have noted the opportunity to assert their own authority on the world of golf and have used it as great inspiration. Donald has been the main beneficiary of this opportunity to date and has just served to prove that consistency and dedication can be prime attributes fit for the world’s best in a major sporting discipline. The astounding rate at which he has churned out top ten finishes this season is testament to his ability to match and more often than not surpass some of the more flamboyant and explosive players on tour with his own brand of relentless accuracy and practically unrivalled attention to detail. He has turned sensible golf into an art form and with it has come a great confidence in his own abilities and almost inevitably a dramatic increase in success. This increased success has today seen him become the first person ever to top both the US and European Money lists over the year. This is an astonishing achievement given the commitment it requires to constantly travel from location to location, out performing all comers in the generally more lucrative and high profile PGA Tour events, as well as switching codes and producing equally as impressive displays on the European Tour which can often require an entirely different style of golf. His relentless form this year has seen him win personal awards as well as tournament victories and an enormous amount of money. 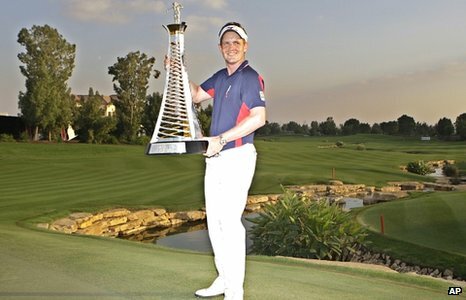 He has been awarded the Vardon Trophy and the Byron Nelson award for achieving the lowest scoring average on the PGA Tour this year, he also won the PGA Tour player of the year voted for by his peers and he has surged to the top of the world rankings where he has now stayed for around six months. Many have tried to belittle Donald’s achievements by mocking his world ranking with regards his lack of a victory in any of golf’s four majors. But how can anyone argue against his right to be deemed the best player in the world at the moment when he has accumulated such a staggering amount of high tournament finishes in addition to five victories over the past year? I think anyone who does try to do so is ludicrous. With the incentive of Tiger Woods’ slump and the potential to establish themselves as the best player on the planet, many of the younger PGA Tour regulars fancied a shot at the number one ranking and no one has manged to match up to Luke. He has continuously delivered and has put the new breed of young, big-hitting Americans in their place (Nick Watney, Dustin Johnson and Webb Simpson) en-route to the most brilliant of years. Hats off Mr.Donald, what a success story you have become. I dearly hope you can now take this form into one of the majors and shut the mouths of all your critics once and for all. 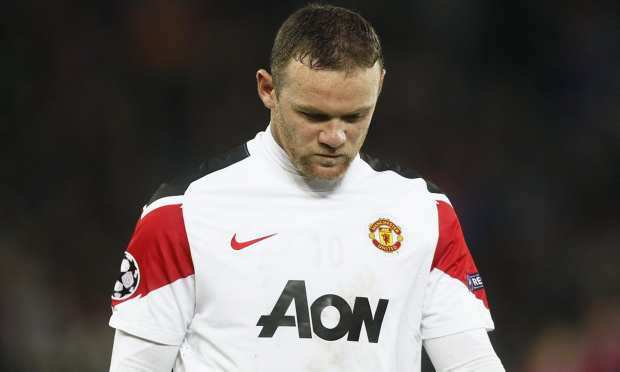 Below is my breakdown of United’s major failings in the Champions League this season and my analysis of just why the varying frailties have caused them to fall so humiliatingly from grace. 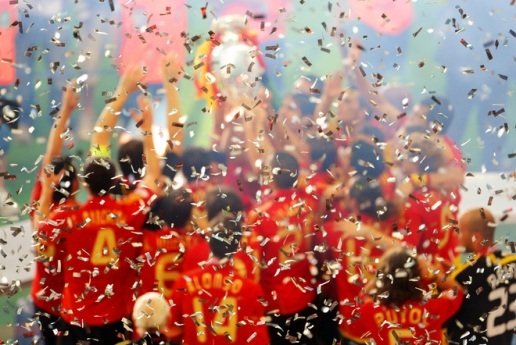 Throughout the group stages United didn’t exactly set the world alight in terms of either their chance creation or chance conversion and as such they failed to ever really impose themselves on their opposition. When you think of United in their pomp you think of their devastating counter attacks and spells of unrelenting pressure that yield a couple of goals a time but these has been very thin on the ground. I am struggling to recall a time when they have looked less likely to turn their pressure into the priceless commodity of goals. Last night 90 minutes of majority possession and territory was rewarded with just a single goal, and quite a fortunate goal at that! But this lack of productivity has been the story of their group campaign and wasn’t just limited to last night’s disappointing display. Even against Otelul Galati they struggled to provide a major goal threat, relying on two penalties in Galati and then one horribly deflected strike on home turf against the whipping boys of the group en-route to achieving just four goals from two games against the minnows. There are several contributing factors to the lack of a genuine goal threat but the most significant has been that no one has stepped up and taken on the responsibility of being chief goal-getter. Rooney has scored a few in the group, though as mentioned two were spot kicks, Hernandez has failed to accumulate a strong tally, Berbatov has found his opportunities severely limited and Danny Wellbeck has spent too long on the sidleines with niggles to have a serious impact. Just like in international football, you simply must take the limited golden chances that come your way and United simply haven’t. It was reported all summer that Sir Alex was flirting with a pricey move for Wesley Sneijder and boy how they could’ve done with him throughout the group stage. United’s ability to unlock the door with the midfield has always been a strong-suit of theirs with the likes of Paul Scholes providing the creative instinct, but, since Scholes’ retirement United have struggled to find a suitable replacement from within the camp and haven’t brought anybody else in to fill the void. Against Basle last night it soon became clear that United are desperately lacking in terms of central creators and as such they were only having joy out on the flanks. In the first half Nani was in electric form and was being given plenty of the ball due to United’s inability to create chances through the middle, but as soon as Basle cottoned onto this they were able to swamp Nani and provide extra cover out wide, thus negating his previously constant threat. The angle of attack, as it has been in several games, was far too predictable and it all stems from their inability to emulate the likes of Barcelona and create from the central areas of the pitch. Another worry for must be their absence of a natural holding midfield player. Michael Carrick and Darren Fletcher are both decent at playing from deep and can both be fairly combative but they don’t quite fulfil the sort of role that Sergio Busquets or Xabi Alonso do for Barcelona and Real Madrid. We even saw Chelsea’s fortunes dramatically improve in their Champions League tie on Tuesday night courtesy of Oriol Romeu’s very successful inclusion in the defensive midfield role. United must act quickly to find their greatest fit to this role, and with Nemanja Vidic’s potentially very serious injury it appears that Phil Jones is going to be needed in defence and therefore won’t be a particularly viable option. United’s inability to keep clean sheets in the group has been a major theme in their downfall. It is very unlike one of Sir Alex Ferguson’s sides to be so fragile at the back and arguably the two games against Basle provided the greatest examples of this weakness. In the home game against Basle they managed to slump from two nil ahead to a losing position within the space of about 20 minutes and in this period the defending was horrific. Last night witnessed Basle very much on the back foot throughout, but every time they did venture forwards United looked unstable. Xerdan Shaquiri’s strong running on the flanks and through the centre struck fear into the United defence and they continuously backed off from him allowing to roam further. Very rarely did Basle muster up a goal scoring opportunity in the game, but they still somehow managed to net twice and come out on top, this speaks volumes about the uncertainty in United’s defensive ranks at present. It is worth mentioning that injury problems have compounded the defensive issues with the likes of Rio Ferdinand, Nemanja Vidic, Chris Smalling and the Da Silva twins all having spent periods of the group stages on the sidelines. The spate of short term absences in United’s defence have led to great levels of unavoidable inconsistency in selection and as such the performances at the back have tended to follow suit. Another contributing factor to United’s defensive uncertainty has been the unconvincing displays in goal of David De Gea. In the opening game of the group United faced Benfica and Sir Alex opted to play Anders Lindegaard in goal ahead of De Gea and he impressed in this outing. Since though, Ferguson has tended to go with his number one De Gea and has been left a little let down by his young Spanish stopper. Last night’s problems began with United conceding the early goal and De Gea was certainly partially at fault for this. When Shaquiri fired in his stinging cross De Gea opted to deal with it using his legs when getting his upper body in the way probably would have been more appropriate, and this hasn’t been his only blunder of the group stages. Against Benfica he over-estimated his undoubted ability when it comes to playing and distributing the ball and attempted the sort of cute delivery that you might see Xavi and Andres Iniesta attempt in the attacking third for Barcelona. Needless to say this ball was cut out and led to the equaliser which killed United’s momentum and effectively lost them two points, which of course would have seen them avoid their embarrassing early exit from the competition.